Question 1: Does It Make Sense to Offer Travel Insurance? The first question is often best answered from the guests’ perspective.Not every guest will need travel insurance, however, there are certain guests whom will (e.g. those with medical conditions, elderly travelers or on-call military) and certain travel situations that almost necessitate the coverage (e.g. renting an expensive vacation home for a family reunion, traveling internationally or traveling to a hurricane prone region during hurricane season).If even a small portion of your guests would require travel insurance, then it could be a great value-add for those guests. When guests cancel for a valid reason property managers are often put in an uncomfortable position of either maintaining the guest relationship or keeping their payments to cover costs. Looking at it again from the guests’ perspective, if they cancelled and lost several thousand dollars due to strict cancellation conditions and hadn’t been offered insurance, their relationship with the vacation rental manager would be damaged.To protect this relationship and the resulting revenue stream, more property managers of various sizes are offering travel insurance to their guests than ever before. Question 2: Will This Protect My Guests? So you’ve decided to offer vacation rental travel insurance to your guests … now what?When looking at product coverage start with the basics, which will require information from each provider’s website.First you’ll want to determine if the policy specifically covers Airbnb and/or vacation rental accommodations.Next, you’ll want to ensure that the policy you are considering has broad enough coverage for trip cancellation, trip interruption, emergency medical expense, accidental death and dismemberment, and some kind of baggage protection.More inclusive policies might even cover items such as change fees, ticket reimbursement, missed connection, or car rental coverage.It takes some time to do the research, but your guests sure aren’t going to read the policy details, so it’s your responsibility to offer them something that will protect their vacation. Question 3: Does the Technology Work with My Booking Process? The technical sophistication of your website and your booking processes will dictate what travel insurance technology will work best. An easy first step for most low-tech companies is to include the link to your travel insurance landing page in your guest communications.If you’re willing to work closely with your travel insurance provider and operations manager, a more effective tactic is to embed your travel insurance offering in the booking process, which looks differently for each property manager and requires a flexible travel insurance partner. Question 4: Will My Partner Pay? The most important question to answer is whether your travel insurance partner is fair to customers and pays claims.If your guests struggle to collect on their claims it will reflect negatively on your company and how you treat guests. The best place to determine the track record of your provider is on Squaremouth, a leading insurance comparison site with more than 42,000 verified reviews on 21 travel insurance providers alone. While most property managers value paying claims more than earning additional revenue from travel insurance, it’s also important to note that most insurance companies can provide a referral fee to property managers offering their products.While the additional revenue incurred might seem insignificant compared to the rental revenue, a property manager with just a few properties could add thousands to their annual bottom-line. Question 5: How Do I Start the Process of Offering Travel Insurance? Once you’ve decided on a provider, the following implementation process can take a matter of minutes or months depending on the insurance provider. Each provider will be able to give you their unique set of instructions on how to set up your account and begin the process of offering travel insurance to your guests. 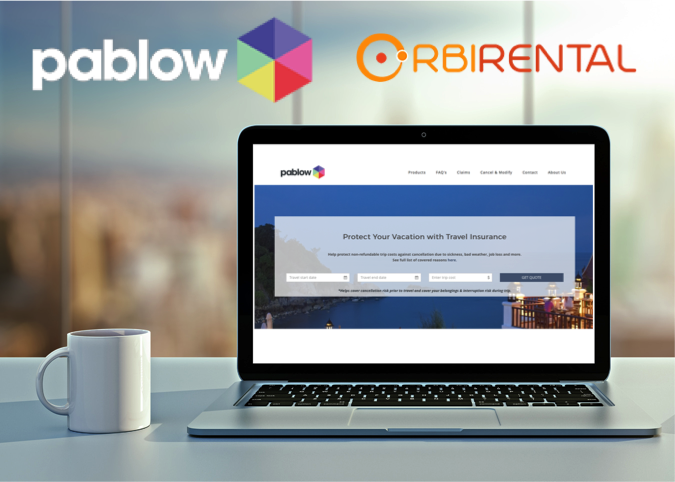 Dylan DeClerck is the head of sales and marketing at Pablow.com, a travel insurance technology provider and broker that helps property managers offer travel insurance to their guests hassle-free and in a matter of minutes. The company is based in Iowa and provides travel insurance to more than 25,000 vacation rental properties in the United States. Dylan is also the executive director of a non-profit that teaches athletics to at-risk youth and he enjoys playing professional ultimate frisbee.